Hometown: I grew up in New London, Wisconsin. Education: I attended University of Washington, Seattle and University of Wisconsin, Madison. I obtained degrees in Zoology and Physician Assistant Studies. 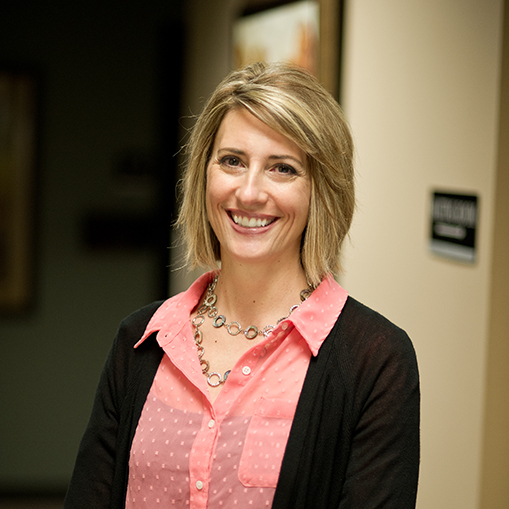 Position: I am a physician assistant in orthopedics and have been working at Klasinski Clinic since 1999. Describe some of your job duties: At the clinic, I see patients independently or in collaboration with Dr. Riordan, taking histories, performing exams, ordering and reviewing tests, performing procedures, and developing treatment plans with the patients. I am also involved with the surgeries. I help patients determine when surgery is necessary, do pre-operative instruction, physicals, and preparation, assist during the surgery, and participate in post-operative care in the hospital, Ambulatory Surgical Center, and clinic. Favorite thing about working at SPO: I love working with the patients and developing relationships with them over the years. It is rewarding to help them achieve their goals. I also enjoy working with our staff. We have a really great group at Klasinski Clinic and the Ambulatory Surgery Center. Hobbies: I enjoy attending my children’s school and sports activities, volunteering in their schools and at church, home decorating, gardening, walking, and spending time with family and friends. Family: My husband, Brad, and I have 3 beautiful daughters, Megan, Maddy, and Isabelle. Brad is a tenured professor of Physics. We also recently added an adorable teddy bear puppy, Regent, to our household. If you could be any office supply item, what would you be? And why? : …Hmm…It may not be a supply item but, I would like to be the thermostat! All my co-workers, friends, and family know that I am always cold. If I was a thermostat, I could keep myself toasty warm.